Over the years clients have asked about this letter, and just this last year I probably got 25 of these letters myself. If you receive a letter from iDNS – throw it in the trash. You do not have to send them a cent, you do not have to transfer your domain name to them, and there is no risk of losing your domain. 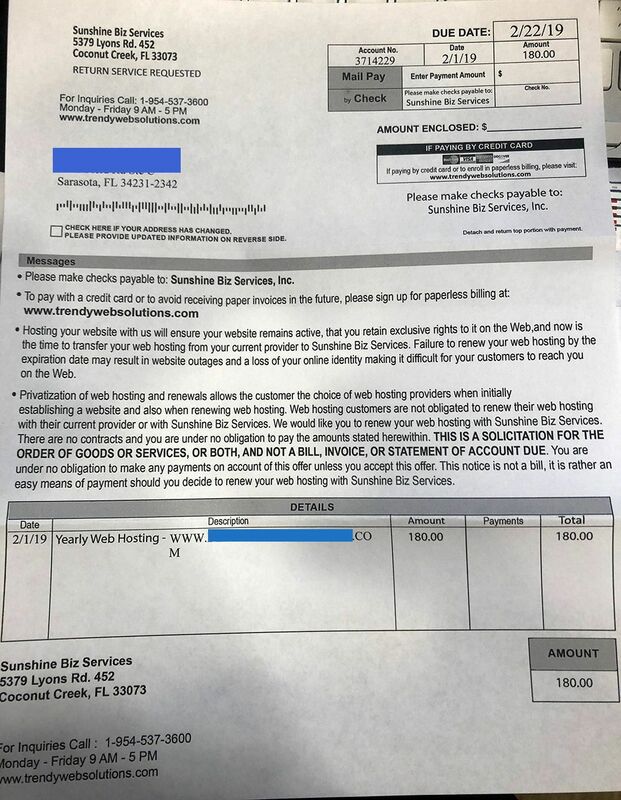 This is a scam to trick you into transferring your domain to a different company that will most likely take you to the cleaners. I imagine that since so many of these letters are obviously mailed out that there are a lot of people who get confused and fall for this trick. Thankfully none of my clients has done that so I’m not sure what exactly happens if you were to switch your name to iDNS. 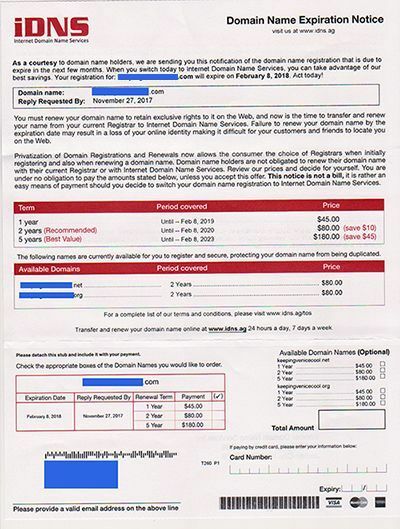 But you would be at least paying twice as much to register your domain name, and I also assume that if you wanted to transfer away from iDNS it would be almost impossible to do so or at the very least there would be some very high transfer fees. If you get a letter from a company you have never heard from you should read it very carefully – especially if it has anything to do with your business or domain name. I always suggest that businesses have their domain name under their control. You can register your domain at any number of reputable registrars including GoDaddy, Network Solutions, 1&1, etc. But never with a company that sends you a letter in the mail out of the blue. These letters from iDNS usually appear to be mailed from an address with a Suite # in New Jersey, and the enclosed envelopes have a New Jersey address. I did a Google search for the address 924 Bergen Ave, Jersey City, NJ 07306 – and I found that it was a UPS store P.O. box.